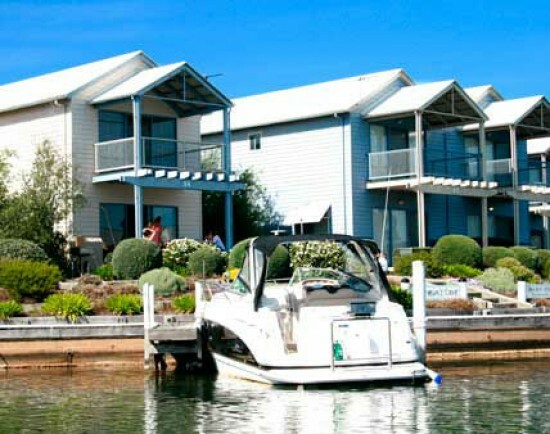 Located in the heart of Victoria’s boating capital on the beautiful Gippsland Lakes, you will find our waterfront holiday apartments have something for everyone. From your door step you can step onto your private jetty and access the whole of the Gippsland Lakes, including Paynesville, Raymond Island, Lakes Entrance, Metung, Lochsport & the 90 mile beach. Choose from 1, 2 or 3 bedroom rates in our 3 bedroom; 2 bathroom; fully self contained waterfront holiday apartments. The Resort also offers a heated indoor swimming pool, tennis court, kayaks, stand up paddle boards, Wi-Fi, boat wash area etc.